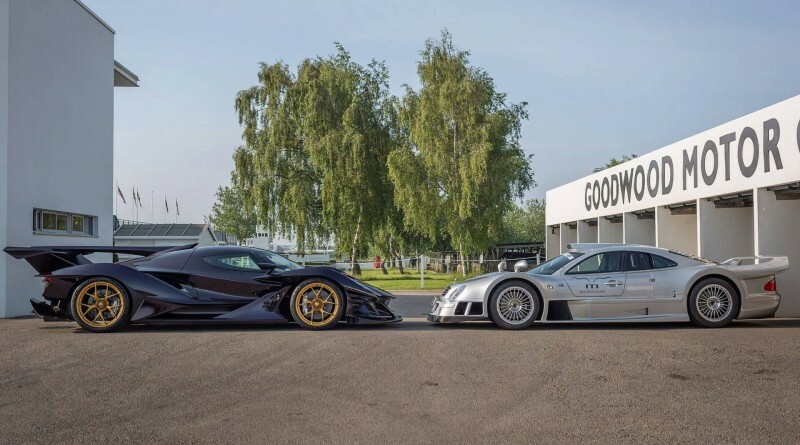 The Dubai Autodrome recently hosted two of the finest supercars in the world; the Apollo Intensa Emozione and Mercedes-Benz CLK GTR. This gathering of rare supercars was made possible thanks to Apollo Automobil and HWA AG. For those unfamiliar, Apollo Automobile is a German sports car manufacturer headquartered in Denkendorf. Roland Gumpert, who is the founder of Apollo, previously held the position of director of Audi Sport. Under his supervision, Audi won a total of 25 World Rally Championship rallies and four World Rally Championship titles. The Mercedes-Benz CLK GTR (W297) is a sports car and race car produced by Mercedes-AMG, the performance and motorsports arm of Mercedes-Benz. The CLK GTR is probably the most famous Mercedes-Benz in the world, they rarely end up on the open market for sale, and when they do the prices are usually speak for themselves. Every year or two you may find one specimen for sale on Global Autosports. In the video below, you can see and hear both cars as they take laps around the Dubai track. The sound coming from the powerful V12 engines is pure bliss, not to mention the design and look of both cars is enough to stun even the most serious car enthusiast. It’s rare to find such unique cars together at one time, we are glad that it was caught on camera.